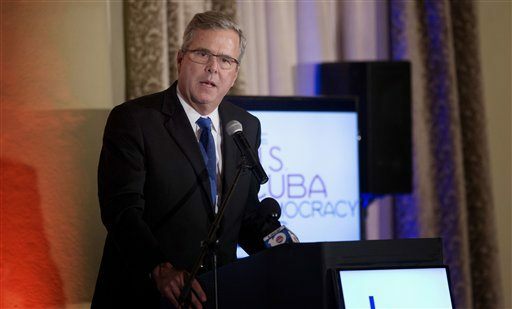 Former Florida Governor Jeb Bush will reportedly quit his position at Barclays at the end of the year. The Financial Times report comes days after Bush announced that he is “actively exploring” a potential presidential run. Before Bush’s announcement that he was exploring a candidacy, Bloomberg reported on Bush’s various financial entanglements, especially his nebulous deals with Chinese investors. Those in the financial industry opined that Bush may not run because he was not winding down his various investment relationships, which would come under intense scrutiny during a presidential campaign. During the 2008 financial crisis that helped give birth to the Tea Party, for instance, Bush reportedly lobbied Mexican billionaire Carlos Slim to help save Lehman Brothers, according to a report in the New York Times. Now that he giving up his paid advisory role with the British bank, it seems like Bush is closer to formally jumping in the 2016 race.